Next time you find yourself in a post-2001 BMW, take a quick look at the controls for the state-of-the-art infotainment system. If they look familiar, that’s because they are – BMW’s ‘iDrive system’ is inspired by the video game industry, specifically the handheld controller beloved by gamers worldwide. Designed to be as intuitive as possible, it’s an easy way to operate the car’s relatively complex navigation while keeping your eyes on the road. Anyone who’s ever picked up a Playstation controller should find themselves comfortable with the car’s system fairly quickly. This type of cross-industry innovation, where a business looks for fresh approaches from outside its sector and applies them to its own business context, is becoming increasingly popular in our interconnected world. 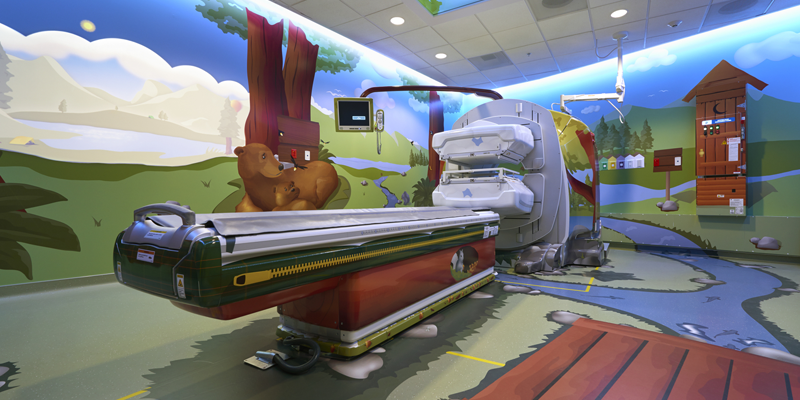 GE Healthcare, for example, looked to the theme park industry(1) to make MRI scanners less frightening for children. By designing machines that looked like pirate ships or submarines and trying to fashion a story around the experience, there was a significant decrease in young patients needing sedation. Meanwhile, Owen Maclaren(2) – a retired aeronautical engineer and test pilot who worked on the Spitfire – used the concept of an aeroplane’s retractable landing gear to develop the first foldable lightweight baby buggy in 1965 to help parents struggling with a bulky pram when getting in and out of planes. Ramon Vullings, the co-author of Not Invented Here(3), describes cross-industry innovation as a “smart, strategic choice” that is crucial to success as technology breaks down the traditional borders separating sectors. Access to knowledge from other industries has never been easier. So where do you start? Vullings identifies three main approaches. The first, he terms outside-in: knowledge and skills adapted from other sectors for use in your own industry. The next is called inside-out, where a company will look at what ‘assets’ it can export to other sectors. Finally, there’s the coupled approach, where a business will deliberately create something new together with a partner. How, though, does it work in practice? Vullings claims you should always ask what it is that you actually want to innovate. Then look to other companies that are excellent at executing the function of the business you are seeking to improve, think about what you can learn from them and decide which of their approaches you can transfer over. Vullings says the key, however, is not to copy and paste the innovation but to copy and adapt it. Don’t limit your focus to just products and services, Vullings adds. Often a better approach is to look at the company’s processes, flows, business model, leadership, maybe even culture and attitudes. 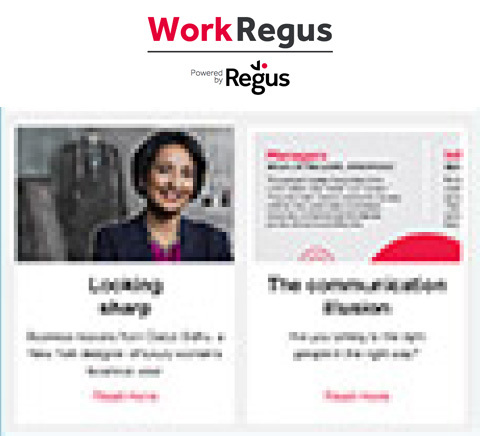 Identifying ways to adopt cross-industry innovation can be a struggle for some, claims Vullings, so he has devised exercises and free online tools(4) to help business leaders think outside the box. For example, he teaches a word game where you replace the key verbs and nouns in an innovation question with synonyms or adjacent word. Take a common question such as, “How can we get more customers to visit our store?” The key words here would be ‘customer’, ‘visit’ and ‘store’. Instead, the sentence could be, “How can we get more families to spend time at our warehouse?” Or, “How can we get more teachers to frequent our app?” That directly pulls your question outside the original context and allows you to see new areas where cross-industry innovation may help. SlideShare(5) is another gold mine for uncovering insights about what companies in other sectors are doing, suggests Vullings. He cites the example of a company he advised that wanted to mimic a luxury company’s branding. However, when it contacted the brand to ask for the official brand guidelines, it refused to share the document. Undeterred, the business searched on SlideShare and, rather luckily, there was a copy available to view there. The next step after conducting research at your desk is to interview someone from the company you wish to learn from. Even better, visit them in person and see how they run the business day to day. “That’s where you will learn the most,” Vullings says. The global rise of co-working spaces(6) means there is even more opportunity to interact with other businesses outside of your sector and share ideas, concepts and thinking that can lead to more innovation, creativity and profitability. Indeed, evidence shows that chance encounters and unplanned interactions between knowledge workers – both inside and outside the organisation – improve performance. A 2011 Deskmag survey(7) of more than 1,500 co-workers in 52 countries showed that three-quarters reported an increase in productivity since joining a co-working space, four out of five reported an increase in the size of their business network and 92% reported an increase in the size of their social circle. A study of a co-working project funded by Zappos in Las Vegas also showed these spaces were rich in opportunities for cross-industry innovation. 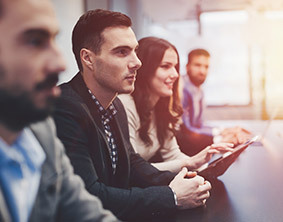 The findings, published in Harvard Business Review(8), revealed that after six months there was “a 42% increase in face-to-face encounters, a 78% increase in participant-generated proposals to solve specific problems, and an 84% increase in the number of new leaders – participants who initiated work and collaboration and developed project scope and objectives”. ... واكِب التطوّر واعمل بطريقة أذكى وأكثر كفاءة!